SAPIEN releases frequent updates for all of its products as part of your subscription membership. 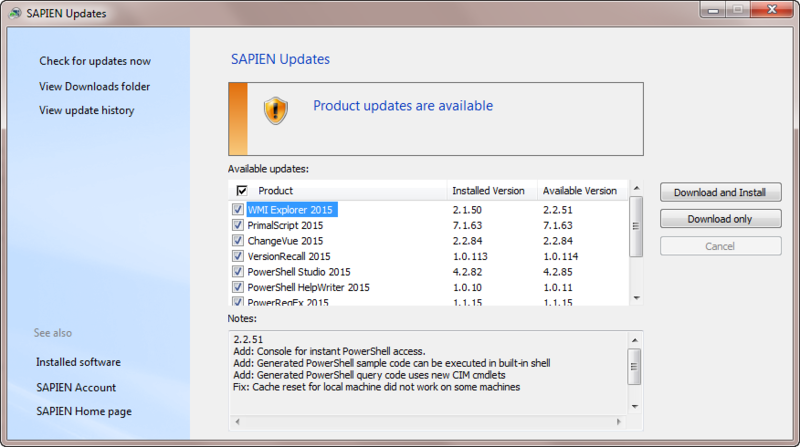 To make this process easier we recently published our new update tool, which allows you to download and install new builds for your licensed software with little effort. The new update tools also keeps a history of your downloaded and installed updates. By clicking on the “View update history” link you can now access this history. This serves two different purposes. 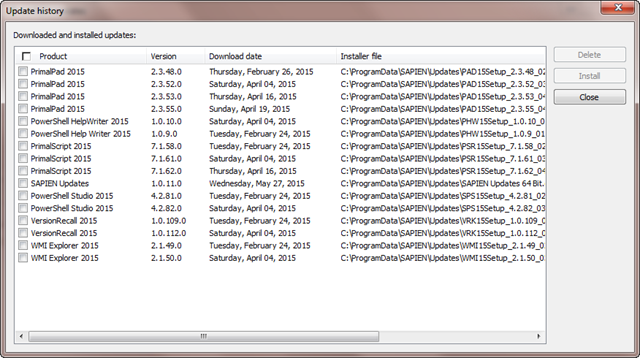 For one you can check the installers you no longer want and delete them. If you want to just clean up or not waste disk space, simply check the items you wish to delete and press “Delete”. Please note that the files are actually deleted and not moved to your recycle bin. Secondly, access to the update history allows you to roll back to a previous build if you ever need to. We do our best to make sure our releases work on all supported platforms, but sometimes a change to a compiler, a runtime dependency or simply a bug may keep a new build from working on your machine. This dialog allows you to select any previous build you have by clicking on the name and selecting “Install”. 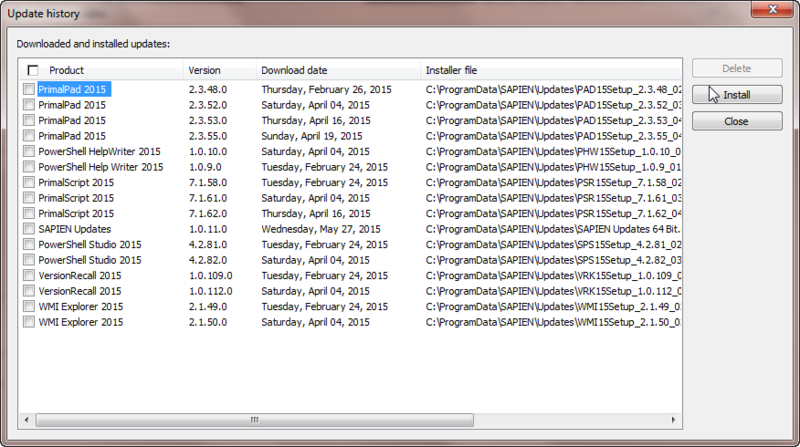 This will uninstall any currently installed version of the selected product and install the specific selected version. Please be patient when you need to do that, the uninstall / install is silent. You will see a confirmation dialog once the process is finished. How do you get the new version of this tool you ask? Don’t worry, it will update itself the next time you check for updates.